To start off, the entry wasn’t that great. 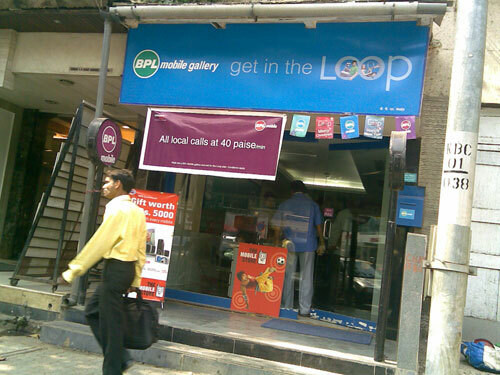 The gallery is pretty small compared to its counterpart, Vodafone which is located on the opposite side of the road. Ok. So no one attended to us for quite some time and we passed some time flipping through some brochures. Got a few cool new schemes, which will be featured in a day or two. After flipping through the brochures, we were asked about any problems and were guided to the necessary counter. Once there the posed questions were answered well and got most of the information we were looking out for, thus passing the knowledge test. The ambience was good enough to wait for some time and with about 5 counters to get your problem solved and not much rush, you wouldn’t have to wait much out here. The employees were well dressed, courteous, well mannered and did their job well. The whole experience wasn’t that disappointing. All was good and satisfactory. But in the competitive world of telecom, BPL needs to go that extra mile to ensure customer delight and keep new customers ticking in. Overall we rate it a 3.5 on 5.